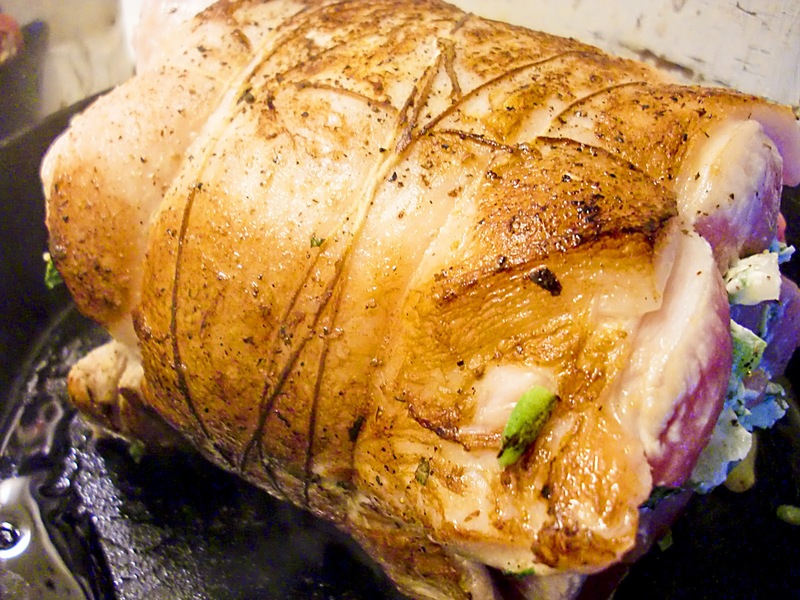 You wont need to roll up the kitchen rugs for this one but it might not be a bad idea. 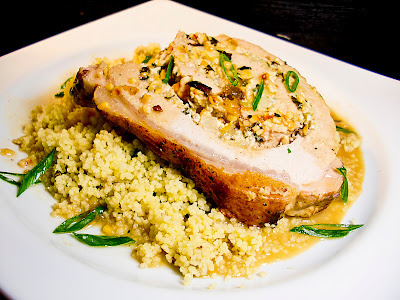 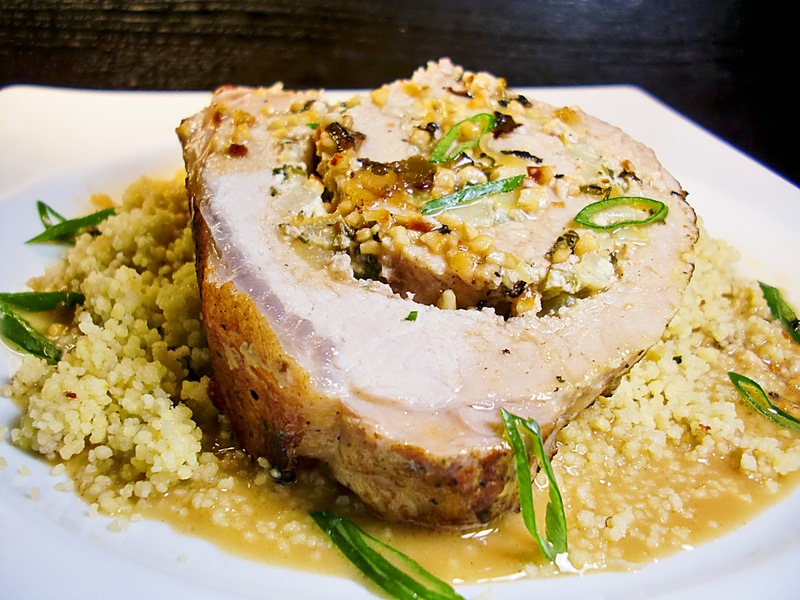 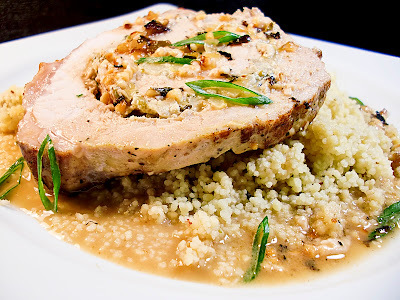 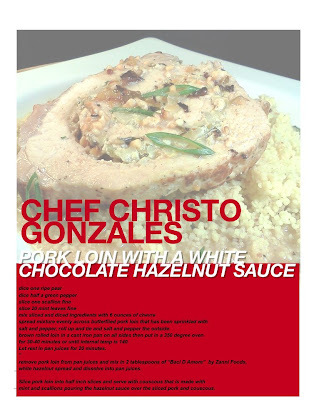 Pork loin stuffed with pears, peppers, mint, scallions and chevre served over couscous with a white chocolate hazelnut sauce is enough to make you shudder. 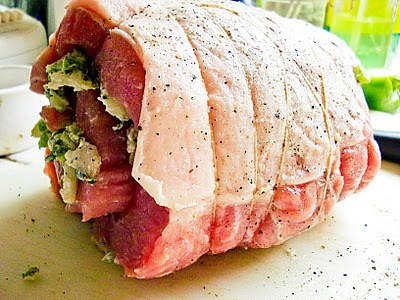 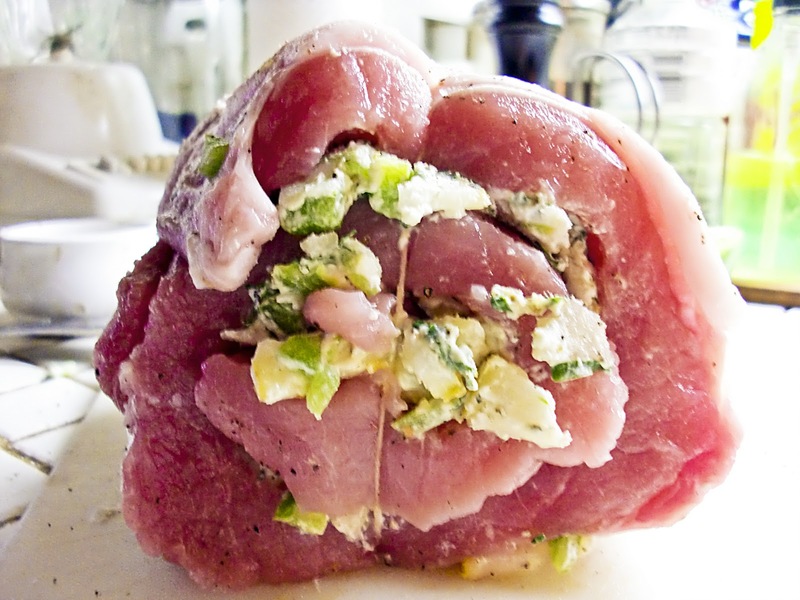 Butterfly a pork loin and spread the delicious mixture inside and roll it up. Brown it on all sides and pop it in the oven until it is just right. 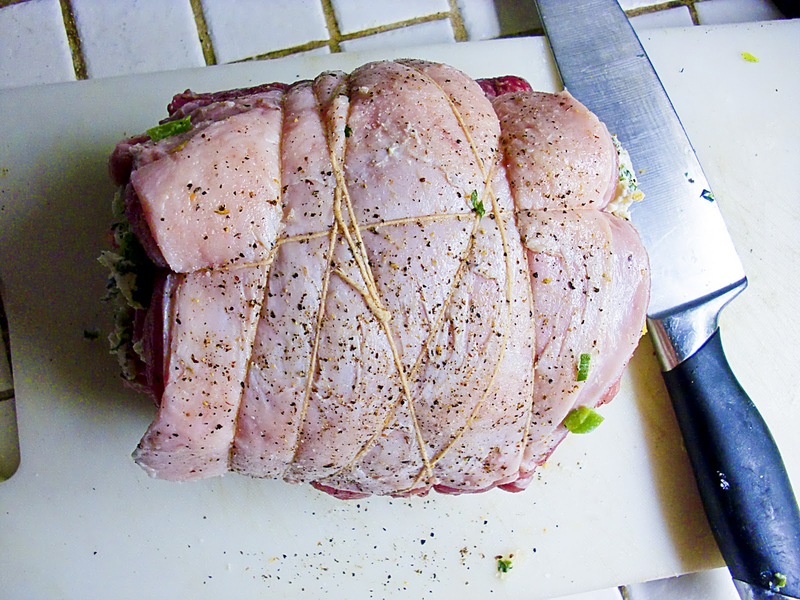 Let it rest then slice it up. 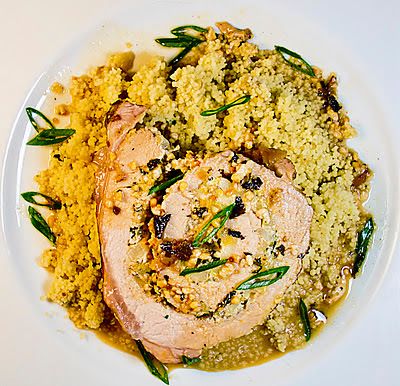 Serve it with couscous and drizzle the luscious chocolate hazelnut sauce over everything - baci d' amore - love kisses, love bites and love struck. Here is the recipe and here is where you can find the Baci d' Amore. 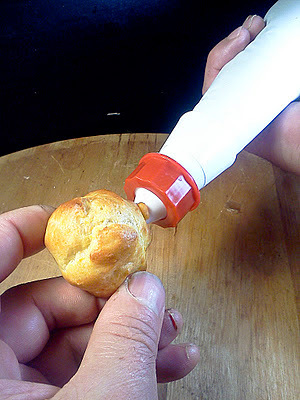 Want to make an appetizer that is easy, eye catching, and delicious? 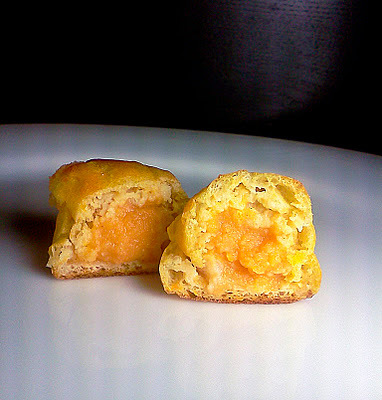 Then make choux pastry pipped with sweet potato or if you want other ideas try a spinach choux filled with cheese or a carrot choux filled with spinach or a chocolate choux filled with vanilla cream or a vanilla choux filled with chocolate cream or a chocolate/chocolate or a vanilla/vanilla or what ever combination you can think of but remember you heard it here first. 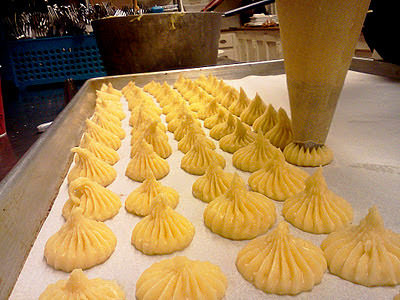 Bake them till golden and pipe in your favorite sweet or savory filling. You can believe me when I tell you that it is easier than you think. 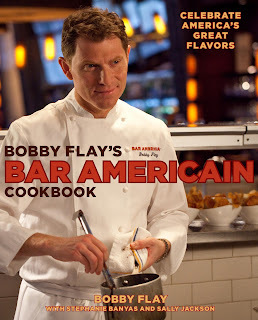 (look at my poor wounded fingers - I had a "knife incident" LOL). 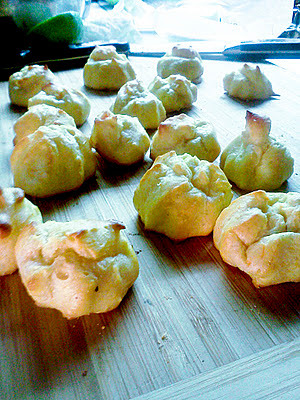 Make some pate au choux and impress your guests. Definitely poached pears are one top drawer dessert, and without a doubt it is one of the easiest desserts you could ever make. Poached pears with a red wine caramel and creme anglaise only takes time to make it nice. 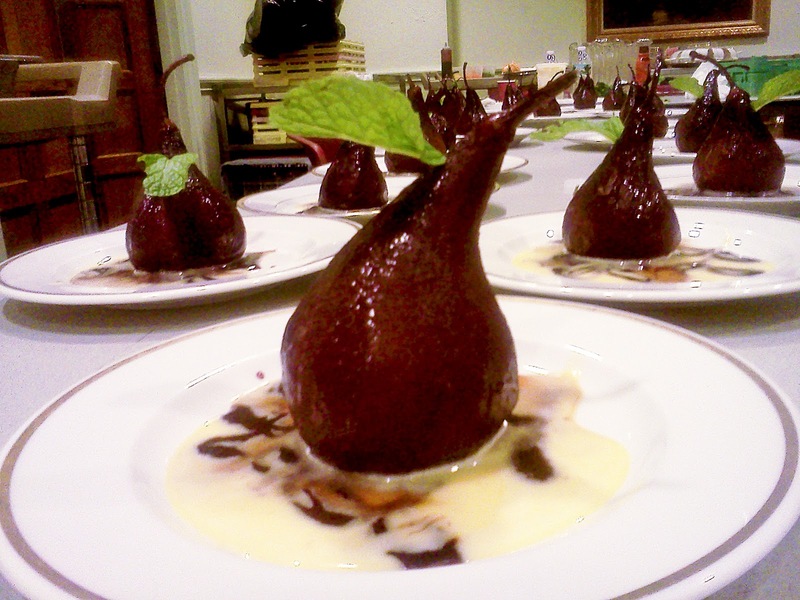 You will read a lot of recipes that will tell you to poach the pears for about 15 minutes or so but to really get them tender and tasty I suggest no less than 45 minutes at a nice steady simmer. 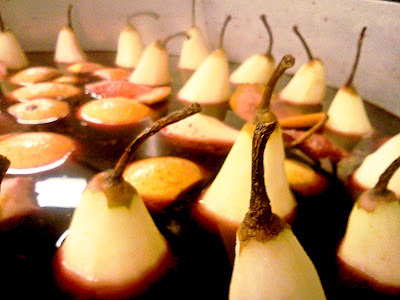 The next day gently remove the pears and reduce the liquid until it is a nice thick caramel and let the pears come up to room temperature. 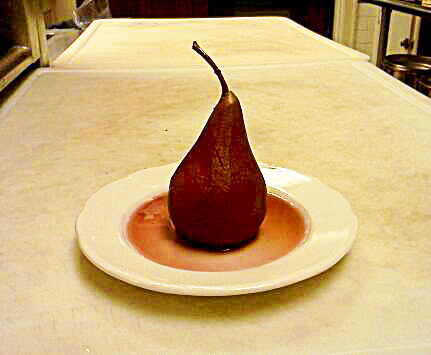 This is a pear in the unreduced liquid. 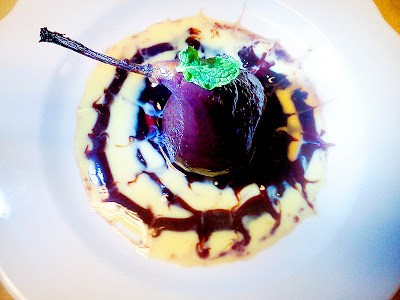 Make a creme anglaise, which is a nice vanilla sauce made with milk, cream, egg yolks and vanilla bean. 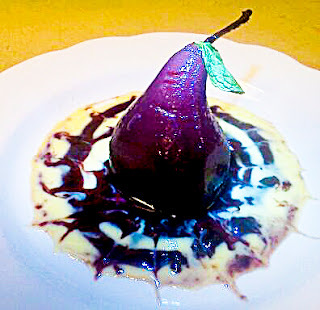 Put some of the wine caramel on a plate, put some creme anglaise on a plate and put a pear on top of the sauces and garnish with a mint leaf and you are good to go. Invite 35 of your best friends over to enjoy the fruits of your labor. 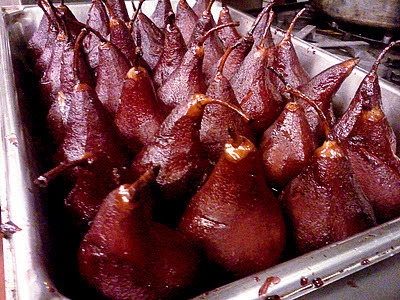 Poached pears will be on your menus - I guarantee it! 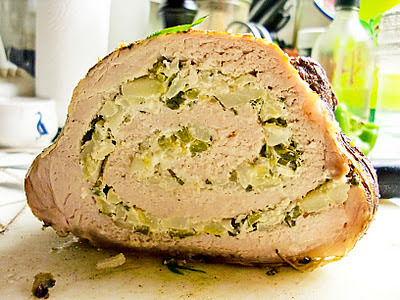 Oh and dont forget to check out my latest post at Char-Broil. 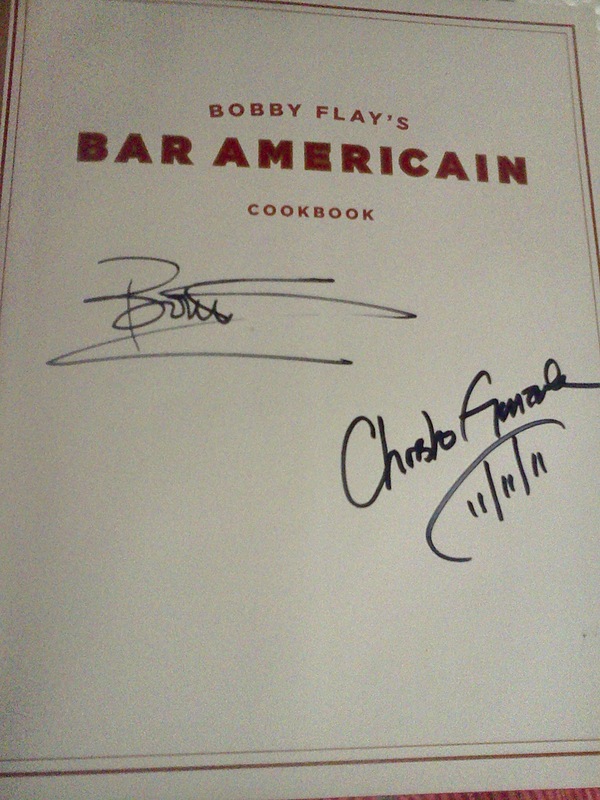 Nothing was more easy to win than this cookbook signed by Bobby Flay and Kim Bee was the lucky winner who made me a winner too. 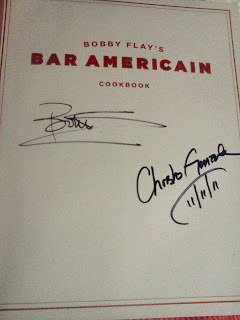 When I contacted Ms. Kim Bee to let her know she had won she asked if I could sign the book too - how cool is that? Congratulations Kim Bee and thanks for making me cool too!